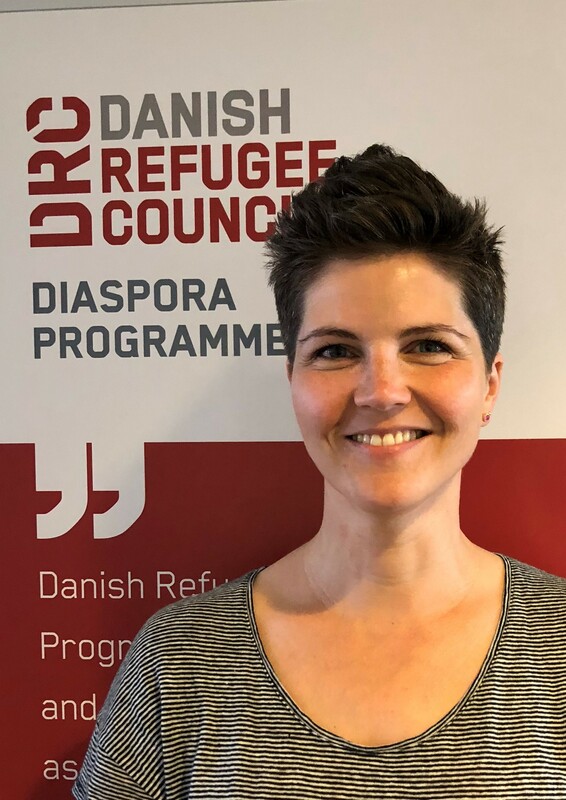 Interview with Mingo Heiduk, Head of Unit for the Danish Refugee Council's Diaspora Global Programme - Diaspora Action Australia | Peace. Development. Human rights. What are the contributions of the diasporas to development aid and disaster relief? What role do they play on the global stage? We spoke to Mingo Heiduk, Head of Unit for Danish Refugee Council’s Diaspora Global Programme, about those questions. Mingo will be a keynote speaker at the Diasporas in Action conference held at University of Melbourne. Can you tell us about your professional background and current work with Danish Refugee Council (DRC)? After completing my Master in Comparative Religion and Middle Eastern Studies, I worked in a small NGO providing health care in Afghanistan. In 2012, I joined DRC to head the Diaspora Programme that aims to assist migrants and refugees living in Denmark to do their work in their countries of origin. What has always driven me, no matter how frustrating our work sometimes is, are the diasporas and our shared passion. Their drive and will to engage is just amazing. I guess I never stopped being a bit of an activist and a grassroots person even though our work is part of a large international NGO. Even though diasporas are an important actor engaging in emergency and humanitarian assistance, we still struggle with their recognition in the humanitarian world. Furthermore, funding streams are always a challenge. Our world is very donor driven. They often have a low appetite for financial risks and prefer to manage a small number of large grants rather than a large number of small grants. This is often why we see them preferring to sponsor well-known international aid agencies. On the other hand, the challenges also make our work fascinating. What kind of diaspora communities and organisations does DRC work with? The programme is a combination of different projects with different target groups in terms of country of origin and also country of residence. There is the original and still core part of our work, which is our funding mechanism and capacity building support to Danish Somalian and Afghan diaspora organisations that are working in Somalia and Afghanistan. Other than that, the majority of our projects work with European based Syrian, Afghan and Somalian diasporas. We have focus on diaspora engagement in humanitarian aid as well as development. Connected to that … do you think these collaborations can contribute to an enhanced understanding of diaspora engagement in the public debate on peace, development and humanitarian response? Definitely. Part of our work has always been dedicated to learning and research. We’re putting considerable efforts into documenting the diasporas’ engagement in relief and development activities, their modus operandi etc. We investigate the way they engage and respond to, for example, a drought in Somalia, the displacement in Afghanistan, the return of the displaced to their country of origin – not only in terms of immediate responses but also what potential solutions are in the future. Our core interest is to let the diasporas take the wheel, with our focus being on offering training and technical assistance, and facilitating networks and links within and between diasporas, and with other relevant actors and agendas. How does working locally assist with humanitarian assistance to communities in times of crisis? Generally, we see indications that diasporas are able to deliver humanitarian aid faster and more flexibly mostly due to less red tape. In contrast, the international system is often more effective in responding to large-scale crises such as large-scale displacement or sudden onset of crises; especially when the respective government is not willing or able to respond. Diasporas are mainly working as part of the local communities and collaborate with local mechanisms, which gives them an advantage. In most situations, both will be part of the response, whether it is effective or not – and therefore it is vital to work together properly. At the same time, we must not forget that communities and states should also be allowed to deal with emergencies and crises themselves as far as they are willing and able given their resources. International organisations’ task should be to fill gaps. Do you consider diaspora communities as prominent actors in the current debate on peace, development and humanitarian response? If yes, how so? I think diasporas are mainly prominent in community-level debates just because they are very fragmented, which inhibits coordination, proper representation on the global stage, and organisation on a larger scale. Still, there is a lot of advocacy and diasporas do work with governments as for example during the drought in Somalia when the diaspora engaged with different European governments. There also is a growing engagement of diasporas in peace talks and in negotiations as part of civil society. Diaspora’s fragmented nature means that engagement is very personal and positively diverse, however, also often uncoordinated. But this is where we believe that support to improved coordination can provide real changes. In your opinion, are there benefits and advantages in delivering projects in cooperation with diaspora communities and organisations? If yes, which ones. Diasporas certainly have the ability to contribute positively to humanitarian assistance due to their specific knowledge, however, it always depends on the context. The difficulties lie in combining the different work approaches. There are different ways to collaborate. For example, collaboration might consist in supporting each other, sharing information and best practice without working on the same projects. Do you think that a conference like Diasporas in Action can contribute to deepen the understandings of the role played by diasporas on the global stage? What practical steps should be taken to improve the presence of diaspora communities in the relevant fora? Absolutely. Recently, a slogan has been coined by refugee engagement movements: “Nothing about us without us”, which fits perfectly in this context. We speak a lot about diasporas when we should be speaking with them. A diaspora often has a deeper insight and a different perspective on issues than someone commenting on it from the outside. Of course, every perspective contributes to a broader understanding, but we do need diasporas, migrants and refugees speaking for themselves more. What I also find fascinating is the different focus that each diaspora has. In the US we have seen that the diaspora’s attention in some groups is very much directed at economic development and investments whereas here in Denmark humanitarian and development aid plays a more central role. Diaspora engagement in Australia is interesting because I think they are in the process of finding their focus. I am, therefore, very much looking forward to learning more about the outcomes of the Diasporas in Action conference in September, which I hope will explore these dynamics – and how we can best support positive diaspora engagement and coordination. Mingo will be a keynote speaker at the Diasporas in Action conference in September, which will bring together NGOs, academics, diaspora and government representatives, donors and others, to explore how diasporas contribute to peace, reconciliation, development and humanitarian efforts in multiple contexts, such as their countries of origin, sites of displacement and third countries. Danish Refugee Council (DRC) is a humanitarian, non-governmental, non-profit organisation working in more than 30 countries throughout the world.